The City of Coquitlam is developing a new strategy for housing affordability. The timing is fortuitous – the “Rental Housing Index” (RHI), a joint initiative of the BC Non-Profit Housing Association and Vancity published in November 2014, rates the state of rental housing in Coquitlam as “critical”. In fact, the RHI “Community Index Score”, a composite measure of rental housing affordability and suitability, ranks Coquitlam as the second worst performer of 98 communities in the province, being surpassed only by the City of Burnaby. The City is hosting a Community Information Session to provide the public with an opportunity to provide feedback on the City’s draft Housing Affordability Strategy Framework. The Information Session will be held on Wednesday, April 8th from 4:00 p.m. – 8:00 p.m. in the atrium at Coquitlam City Hall, 3000 Guildford Way. Although a discussion of the role that municipalities can play in providing incentives to create housing affordable to low and low-moderate income households can quickly descend into the complexities of zoning policy, at a higher level the issue in front of Council is how such incentives should rank in priority with other municipally-funded amenities such as parks, recreation centres and libraries. Attend the Community Information Session and let the Council know where your priorities lie. To view the City’s flyer which provides an overview of the draft strategy and housing affordability in Coquitlam, click here. The Task Group’s formal submission to the City’s public consultation program currently underway is available here. The complete draft Housing Affordability Strategy Framework can be found on the City of Coquitlam Social Planning – Housing Affordability webpage. 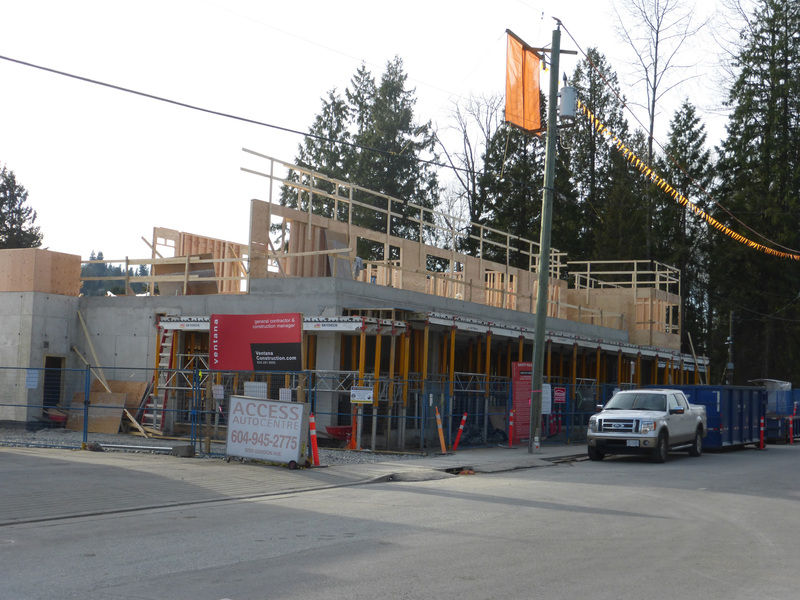 Construction of the 3030 Gordon Ave. emergency shelter & transitional housing facility, to be operated by RainCity Housing, is well underway. The current construction schedule calls for occupancy on November 22, 2015, at which point RainCity will move in furniture and finalize operating procedures and staff training. Current projected opening of the facility is mid-December 2015 – however plans will be in place to operate the interim mat-based Tri-Cities Bridge Shelter until the end of December, should there be any unanticipated delays. To learn more about the 3030 Gordon Ave. facility and follow progress of construction, click here. 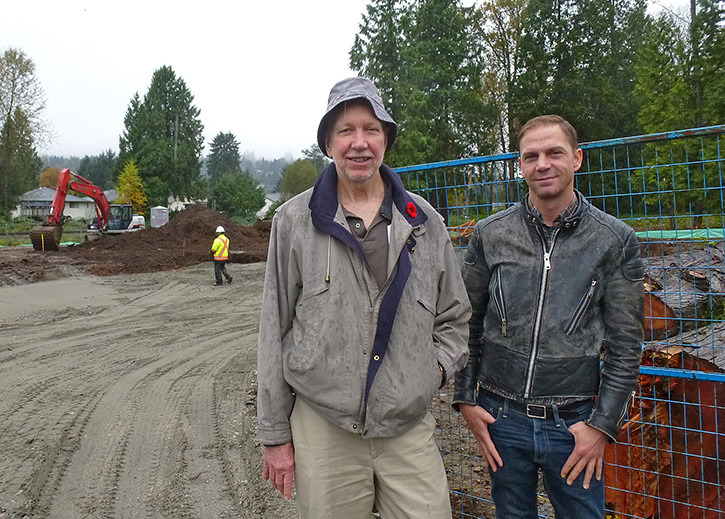 To receive regular updates about the project, contact Bill Briscall, RainCity Communications Manager, bbriscall@raincityhousing.org or 604-671-2169. If you would like to become a member of the Community Advisory Committee, please contact Bill and he will let you know about the next steps. The host church for the Tri-Cities Bridge Shelter program for the month of January 2015 is experiencing a shortage of volunteers. The Bridge Shelter is a rotating mat program that has the capacity to shelter up to 30 homeless individuals a night. There are 2 volunteer shifts a day, 5:30 – 7:30 AM and 9 -11 PM. Volunteers help set up, cook, serve meals, and clean up after shelter closing. The January host is Coquitlam Alliance Church, located at 2601 Spuraway Ave, Coquitlam. Anyone wishing to volunteer for the shelter at Coquitlam Alliance Church can sign up at http://www.cachurch.ca/www.cachurch.ca/cwwmp-cac. Coquitlam Rental Housing Ranked as 2nd Worst Performer in the Province. The BC Non-Profit Housing Association, in partnership with Vancity credit union, launched the province-wide “Rental Housing Index” (RHI) at its annual conference on November 17th, 2014. The RHI provides a detailed analysis of the affordability of rental housing for various income groups in 98 communities in BC. The RHI will be updated annually to track progress in ensuring all British Columbians have access to safe, secure and affordable housing. The RHI scores each community in several criteria of rental housing health, including affordability, overspending, income gap, overcrowding and bedroom shortfall, and develops a composite Community Index Score. Further information, including a description of rental health criteria, can be found at http://bcnpha.ca/research/rental-housing-index. The RHI rates the state of rental housing in Coquitlam as “critical”, while Port Coquitlam and Port Moody are rated “severe”. In fact, the Community Index Score ranks Coquitlam as the second worst performer of 98 communities in the province at a score of 42.0 (where zero is assigned to a perfect state of rental health), being surpassed only by the City of Burnaby with a score of 45.1. Port Coquitlam fares better as 25th worst performer (at a score of 27.5) and Port Moody at 26th, (at a score of 27.3). Earlier this year, the Tri-Cities Homelessness & Housing Task Group was invited by BC Housing to be an advisory group to the Riverview Lands Visioning project on behalf of the housing and social sector. In response, the Task Group has published “Renewing Riverview: Statement of Need” and a Companion Document with supporting data. Rather than making a specific proposal for the future use of the Riverview Lands, the Task Group has identified unmet needs in the Tri-Cities and beyond based on its advocacy over the past 8 years which could potentially be met on the Riverview Lands. The needs have been grouped into two broad categories: mental health & addictions facilities and services, and housing. For a detailed listing and rationale, please refer to Riverview Lands Statement of Need and the Companion Document. At its March 31st public hearing, Coquitlam Council approved Beedie Living’s application to rezone 520 Como Lake Ave. to accommodate a market residential tower, plus 7 – 2 and 3 bedroom townhome units for the YWCA’s adjacent supportive housing facility, Como Lake Gardens. The construction of the new townhome units will be a partnership between Beedie Living, the YWCA and the City. This is a significant milestone as it establishes a model for how new social housing can be built in the Tri-Cities as partnerships between developers, non-profit organizations and a city.